Every year, one lucky winner gets a chance to move into HGTV's Dream Home, which combines many of the year's top interior design trends with cutting edge green design. This year's version is located in Park City, Utah, and the structure's master bathroom has a number of intriguing design choices that amateur designers can incorporate into their own homes, according to HGTV.com. The master bathroom of the home combines two bathroom vanities opposite one another with a space in between. There is a separate room for the toilet, and a large basin bathtub as the focal point of the space. What really stood out about the room is that the designers used mosaic tile around the areas of the space that experience the most activity. The combination of subtle brown, tan and beige tones in the tile surrounded the sink and bathtub areas, while a softer white shade of paint was used on other walls to instill a sense of warmth in the space. 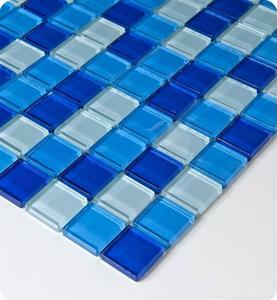 When you're designing your own washroom, mosaic tile could be the addition that pulls your entire room together. Which combination of colors would look best in your bathroom?